Q: WHY OWN A TEDDY’S? A: Teddy’s Bigger Burgers franchises are a great way to get into business for yourself. 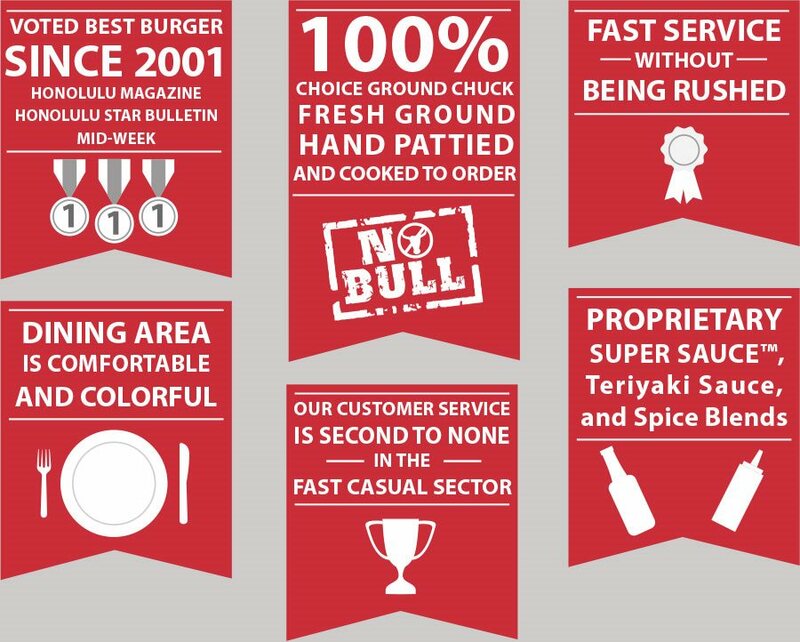 Teddy’s has been serving up great burgers for over 15 years! 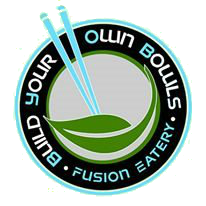 Our franchise is driven by a passion to serve our customers to their complete satisfaction. 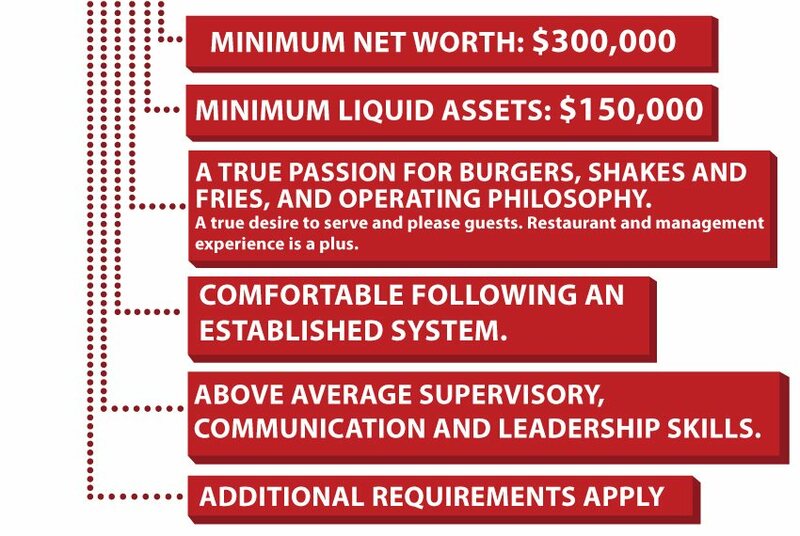 As the owner of a Teddy’s Bigger Burger franchise, you will operate your business knowing that you are backed up by a highly experienced team of people that know exactly how to treat customers to an exceptional food experience. Our goal is to establish Teddy’s as the go-to burger joint for a fun, relaxed, upbeat atmosphere where the food is so tasty and the customer service is so noticeable you have to come back for more. Q: WHAT ARE WE LOOKING FOR IN A FRANCHISEE? Develop a passion for serving your customers to the highest standards of excellence. Uphold our brand’s sound and uncompromising principles. Apply your business skills in the areas of customer service, marketing, sales and operations. Set an example for your team that spreads an environment of enthusiasm, cooperation and team orientation. 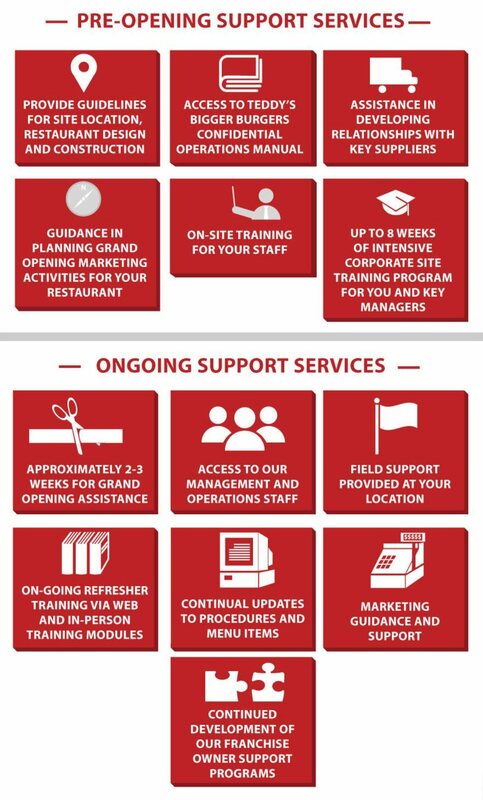 Q: HOW DOES THE FRANCHISING PROCESS WORK? A: We carefully and completely step you through the process of buying a Teddy’s franchise. Q: CAN I OPEN UP A TEDDY’S IN MY AREA? A: New markets are opening all the time. Once we open a market we tend to create quite a buzz. For example, check out the craziness that happened when we recently opened a store near Manila in the Philippines! Check with us to find out if your territory is open! First Teddy’s Opens at the base of Diamond Head in Honolulu, HI. Teddy’s registers Bigger Franchises, LLC in July and begins its UFOC process. Teddy’s experiments with an express concept in Downtown Honolulu, HI. Closes after one year citing limited hours of operation and the lowest unemployment rate in the country. Oct. 11 Bigger Franchises sends out its first 2 UFOCs! Feb. 15 First Face-to-Face with Wes and Diana Case, and Todd Rothbard. May 14 Our beautiful store over on Maui opens its doors for the first time! Aug. 19 Iowa City now has a Teddy’s Bigger Burgers! First in Iowa! Aug. 23 Our first store in the Philippines! We open our very first California store in Fullerton!